The 2012 Summer Olympics was held in London from July 25 to August 12, 2012. 204 nations participated in the mega tournament. 10,768 athletes competed in 26 sports which encompassed 39 disciplines and 302 events. The top three positions were bagged by the United States of America, China, and Great Britain respectively. The USA topped the table with a total of 103 medals: 46 gold, 28 silver and 29 bronze. 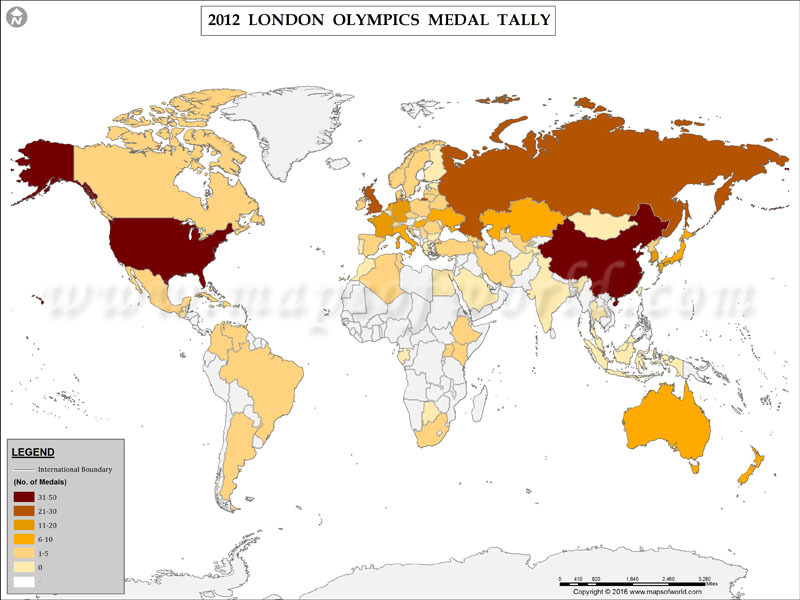 China came second with a total of 88 medals: 38 gold, 28 silver and 22 bronze. The third place went to Great Britain with a total tally of 65 medals. The table below mentions the name of all the nations that participated in the 2012 London Summer Olympics and the total medals they scored.